Reseller Opportunities - Brickstuff-- Small Lights for Big Ideas! Thank you for your interest in becoming a reseller of Brickstuff products. We offer the widest selection of modular lighting products on the market today, and we have more than five years' experience building a strong global brand and developing a commitment to quality and customer service. We have customers all over the world, and we are always looking to build strong local relationships with experienced and highly committed resellers. Past experience as a vendor at local/regional LEGO® shows and conventions, and a willingness to devote space in your booth to showcasing Brickstuff products and to commit to attending future conventions in your region/country as a vendor. 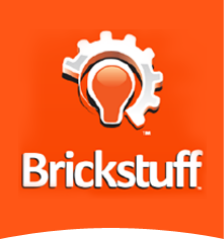 If you are interested in learning more about the growth opportunities associated with becoming a reseller of Brickstuff products, please send us a message via our Contact Form summarizing your business history and future plans, adding links to your online store and any social media presence, and also how your company embodies the characteristics above. Thank you again for your interest in joining the growing Brickstuff reseller community!